The second wave of economic crisis is battering the Russian economy. In addition, the war in Ukraine and the integration of the disputed Crimean peninsula are draining public finances. 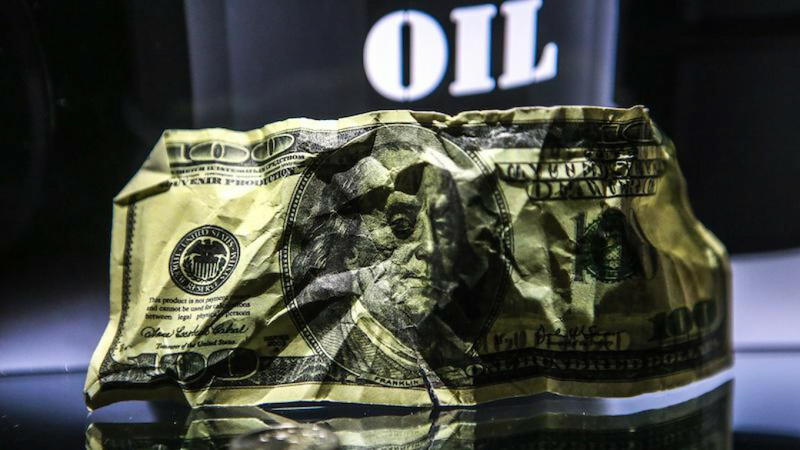 To exacerbate matters, the government's safety net — its foreign exchange reserves – is rapidly unraveling, with plummeting oil prices and stagnant GDP growth sawing away the remaining harnesses. Not only are social gains on the line – including pensions, teachers' and doctors' salaries – but the Russian military and state security services are also at risk of budget-cuts. In order to replenish these diminishing reserves, Russian authorities have announced a plan to sell shares in several state-owned juggernauts: oil and transportation companies, as well as state-owned banks. The Finance Ministry hopes these revenues will reach the astronomical sum of 1 trillion rubles (about $15.5 billion). The process of Russian privatization evokes feeling of deja vu. After reeling from the first wave of the crisis in 2010-2011, the authorities had planned to buttress the budget with privatization. The initiative's chief ideologue was First Deputy Prime Minister Igor Shuvalov. The project was sunk, and soon after, war broke out in Ukraine and Russia turned its back on Europe. The future of privatization in 2016-2017 remains unclear. But one thing is certain: if it occurs, it will not be what it was intended to be. It all began in the summer of 2009 with a discussion in Shuvalov's office regarding strategies to stabilize the treasury. Liberal officials — Shuvalov included — insisted that privatization was the key to solving two problems simultaneously: increasing the budget and improving the management of public property. It was felt that transferring property from the hands of pilfering state-managers to the apparently more capable hands of private owners — who would skin a manager alive over a single misplaced kopek – would solve Russia's inefficiency problem. If the new owner happened to be foreign, the situation would be even better. Not only would Russia gain high-quality factory floor and infrastructure management; but the country would be able to cheaply access foreign technology to boost profits at minimal expense. Formally, 2009's law on the budget stated that Russia expected to make 7 billion rubles (then about $230 million). In addition, Finance Ministry officials argued that revenues could reach about 61 billion rubles by selling shares in about three dozen corporations. They reported this to then-Prime Minister Vladimir Putin on June 2, 2009. Igor Shuvalov remains big business's main ally in government. He has often aided Western investors, as well as Russian oligarchs. Indeed, throughout autumn 2008, when Oleg Deripaska's aluminum empire was suffering from economic crisis, the oligarch slept in the deputy prime minister's reception room awaiting an opportunity to obtain state credit. It is no surprise that Shuvalov was the man Putin assigned to sell public assets to the private sector. On August 11, 2009, Shuvalov gave the Economic Development Ministry a daunting task: to boost the 2010 budget by no less than 100 billion rubles ($3.3 billion) from the sale of public property. Details of the operation began to emerge the following week. On Aug. 19, officials compiled an extensive list of assets that could and should go to auction in 2010. State shares in energy, transport and infrastructure companies – including power plants, ports and airports – were marked for sale. It was quite an extensive selection. True, no oil or gas companies were on the list. Oil and gas were unprofitable and too cheap at the moment. Thus began the first round in the battle for privatization. In 2009, Shuvalov was unable to withstand the vigorous counterattack of state capitalists. A block of ministers inflicted a decisive blow against Shuvalov's list, leaving just four companies for sale. The fruits of privatization in 2009 were scarce. Revenue from the sale of state-owned assets amounted to just less than 2 billion ($63.5 million) rubles of the anticipated 7 billion. The number was just a drop in the bucket for the budget deficit, which was projected to surpass 3 trillion rubles ($98.78 billion) in 2010. “We were not selling what businesses wanted, [but only] what the government did not want” Alexandra Levitskaya, the Deputy Economic Development Minister explained to Shuvalov at the time. “We need to ask business people what they are interested in, and what they want to buy from us, and then, at the end of the conversation, edit the list of 'strategic' assets,” Levitskaya suggested. There was a lot of work to do. In March, 2010, they had to reach out to the business community, and hold one, or preferably two, round tables with its members. They would then submit a preliminary list of assets to the government for sale. In July 2010, Deputy Prime Minister Alexei Kudrin reported to Putin that revenues from privatization in the following three years could reach an astounding sum of one trillion rubles ($32.92 billion). However, no list of assets to be sold off was included by Kudrin. It was then clarified, that, to get the money, the state would have to part with some of the best assets it had, including "strategic" ones. On Sept. 3, Shuvalov rose to the challenge, hosting a key meeting on privatization. They decided not to touch the oil major Rosneft, but there were still several large companies selected for auction. The list included Transneft – the monopoly owner of the country's pipeline infrastructure – as well as Russia's largest bank, Sberbank, and SG-Trans, the railway company that carried liquefied natural gas. It was not a trillion-ruble deal, but the property was significant. Four days prior to Shuvalov's meeting, Prime Minister Putin ceremonially opened the pipeline carrying the first barrels of oil to China. 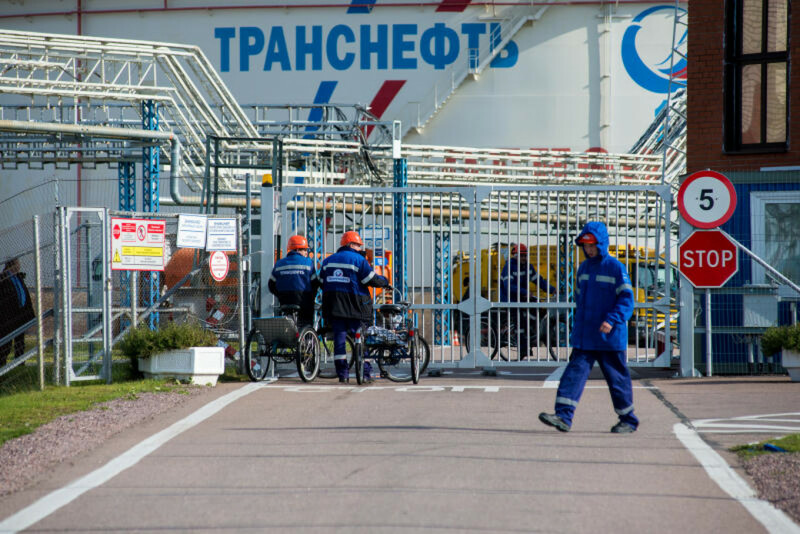 The Russian section belonged to Transneft – one of the candidates selected for privatization. Most of the privatized companies and their patrons in the various ministries fiercely resisted privatization. The following October, Energy Minister Sergei Shmatko wrote a devastating review of the privatization program. Selling Transneft's shares to a single party would mean putting a strategic company at the risk of malicious intent. The buyer would have access to the holy of holies – accurate information on the pipeline system's development plans, as well as classified information, he wrote. The idea of privatizing Rosneft was even less admissible according to Shmatko. Its shares were not in high demand (some were freely traded on the market), and the state would receive even less than it received during the 2006 “people's IPO,” he explained. 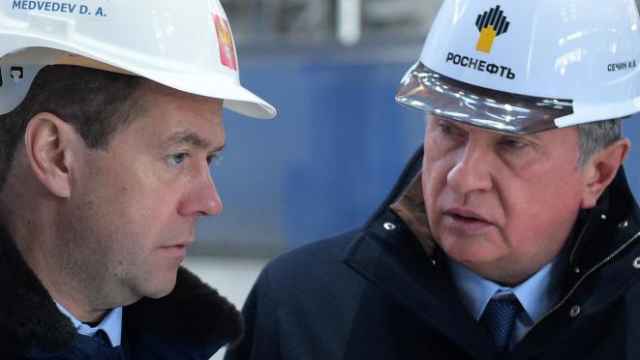 The government had plans to raise the mineral extraction tax, and it had to decide whether to receive income in the form of taxes paid by Rosneft or as profits from the sale of the company's shares. Energy companies could not be sold either. The largest pieces of the decentralized energy giant FGC UES that remained in state ownership were growing rapidly, entering new markets, and at that very moment making the massive deals the country needed. All the shares of other energy companies in the treasury had to be given over to them, enlarged, their management put right, and then, perhaps, they could be sold. State coal assets could not be sold either, Shmatko concluded, because it had been decided that its coal shares would be needed by the state for several more years. In the Transportation Ministry, they wrote that their companies – railways, specialized delivery companies, and so on – could not be sold yet either. A few shares of Sovcomflot, a shipping company of a global scale, could be sold though. The Central Bank – a shareholder in Sberbank – wrote that it was not necessarily opposed to selling its shares, but that it needed discussions to be postponed until stock prices rise. The Industry Ministry proposed privatizing several dozen research institutes and factories. They were of some interest, but not as enterprises, rather as the owners of huge plots of land in Moscow, St. Petersburg, and other major Russian cities. The Agriculture Ministry wrote that under no circumstances could shares in the newly created state United Grain Company be sold. If it were absolutely necessary, 49 percent of shares in Rosagroleasing and Rosselkhozbank could be sold. But it was clear that they would not do that: the two companies simply siphoned public money, accruing multibillion-ruble debts. Nor could shares in the state vodka producer, the Rosspirtprom company, possibly be sold. It had just started operating, and would gain momentum through 2015, and then selling it would make sense, Rosalkogolregulirovanie (Federal Alcohol Market Regulation Service) officials wrote. Officials from the Education Ministry agreed to everything, but asked that the Energy Sanatorium on Pyatnitskaya Highway be removed from the list of properties proposed for privatization. Only the Finance Ministry gave the Economic Development Ministry its full support. Not only did it endorse the plan outlined by Levitskaya, it proposed an expansion of its agenda. Despite the resistance of state-capitalists and their patrons, Shuvalov had no intention of giving up. On Oct. 20, 2010, he held yet another meeting on the privatization of state corporations. Shuvalov ordered shares of Rosneft, Sovcomflot, Sberbank, VTB, United Grain Company, as well as Russian Railways and the large-scale state energy companies RusHydro and FGC UES to be sold between 2011 and 2013. All in all, they were real crown jewels. State corporations were also set to go under the knife. By the beginning of 2012, Vneshekonombank (the largest investment bank in the country) was to withdraw all commercial projects and assets in subsidiaries that were to be privatized. Rosnano (a state fund that invested in nanotechnology) had already started the process of issuing shares, and Rostec (an industrial superholding) promised to finish issuing shares for the state-owned enterprises it received in 2010. It too could start preparing for privatization in 2011. The proposal was a failure. The government-approved plan for 2011 only included the same few minor assets as the previous attempt. This time however, it had been written in the program that the state was committed to selling Rosneft, Russian Railways, and Transneft, but there were no official deadlines for their sale. Shuvalov proposed a third round of privatization negotiations. In May 2011, he wrote President Medvedev a short but energetic note stating that it would be necessary to sell shares of Sovcomflot and Sberbank by the end of 2011, VTB, UGC and energy companies by 2012, and in 2013: Russian Railways, Rosneft and Rosselkhozbank. This time Shuvalov found support from Arkady Dvorkovich, a presidential aide. Medvedev not only agreed with Shuvalov and Dvorkovich's proposals, but urged them to sell more state-owned shares than they had anticipated. “We must act more decisivel,y” read Medvedev’s resolution on Dvorkovich’s note. They got to work. Bankers offered the government their services as sale organizers. Among them were the U.S. banks Goldman Sachs, Citi, Merrill Lynch, Morgan Stanley and JP Morgan, German Deutsche Bank, the Swiss Credit Suisse, the Austrian Raiffeisen, French Societe Generale and BNP Paribas, and the cream of the Russian banking business from Gazprombank and Alfa Bank to VTB Capital and VEB Capital. The affair began to take a completely new turn: privatization went from being a project designed to replenish the state budget, to an ambitious project to open Russia to world business. It was solid money not only for the budget, but also for bankers, who could receive up to 1 percent on deals worth more than $500 million; up to 2 percent on deals from $100 million to $500 million; and up to 10 percent on deals less than $50 million. “The state does not need so many assets. The government has drafted proposals on a timetable for privatizing big companies. These plans must be carried out, [and] they need to go further. I think we need to give up not just controlling stakes but, in a number of cases, also blocking stakes in many big companies that are currently still state-owned today… I am sure that we can organize a transparent and modern privatization process that will attract effective private investors,” he said. These words were soon followed by deeds. On June 27, the president sent the government a cheat sheet for large-scale privatization: an energetic seven-point list of instructions. He ordered both the government and Prime Minister Vladimir Putin to prepare a new privatization list by Aug. 1. Once again, the state capitalists and government bodies stubbornly resisted the initiative. In July 2011 however, their will appeared to have broken. Shuvalov made some compromises, such as reducing the sale of Transneft's shares from 50 to 25 percent. Nevertheless, Shuvalov was adamant: there would be large-scale privatization. The protests of Sechin’s ally Energy Minister Shmatko, the defense industry, the FSB and the Security Council were ignored. On Aug. 3, 2011, the privatization plan, slightly amended by Shuvalov and signed in the Kremlin by presidential aide Dvorkovich, was lying on Medvedev’s desk. Three days later, the Kremlin has received the same papers, but now signed by Shuvalov. Officials hinted to the president that things were all set for sales: regulations were drafted, bankers were in place to arrange good deals, and there were even buyers. All that was needed was political will and the signature of Prime Minister Vladimir Putin, who had maintained a stubborn silence on the issue, refusing to support or quash the new privatizations. Events soon reached their climax. On August 22, all the necessary papers for Prime Minister Putin's signature were duly completed, and signed by Economic Development Minister Elvira Nabiullina. The papers concerned not only the enormous scale of the program to attract investors into the country, but also the huge sum going to the budget: 300 billion rubles ($9.7 billion) in 2012; 380 billion rubles ($11.9 billion) in 2013; and nearly half a trillion rubles ($13 billion) in 2014 – a total of 1.1 trillion rubles ($35 billion) over three years. Nevertheless, the Prime Minister seemed disinterested in Nabiullina's claims. On Aug. 23, he discussed an irrelevant topic with his colleagues at a government meeting. On Aug. 25, he went to Smolensk on business. On Aug. 26, he met with privatization opponent Deputy Prime Minister Igor Sechin and spent the rest of the month in the south, visiting a bike show in Novorossiysk and spending a few quiet days at his residence in Sochi. Putin clearly did not want to deal with privatization. This was understandable: the elite, business and the whole country was expecting him not to sell state assets, but to do something completely different. Putin and his successor Medvedev had to tell the country which of them would run for president in March 2012. On Sept. 24, 2011, at a United Russia Party congress, Putin and Medvedev announced that they would swap places. Putin would return to the Kremlin, and Medvedev would be prime minister. With that, the history of the "Medvedev thaw" was over, and with it ended the history of privatization. Putin did not tell Nabiullina and Shuvalov so in August or September 2011. 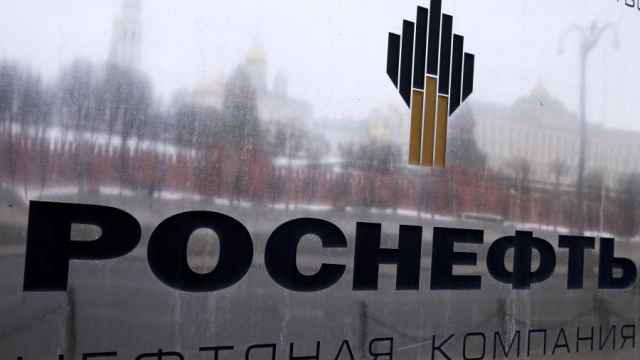 But it was clear that there would be no sale of Rosneft and state corporations shares, at least in the coming year. - Both the deadline and size of the package for privatization should be determined with an eye to preventing a deterioration of the conditions they operate under, and in ensuring their current capitalization under the existing legal regulation. Putin reacted instantly. On Nov. 17, he read Sechin’s note and sent it on to his subordinates with the resolution: "I agree. Please take this into account when organizing work." Meeting both of Sechin's conditions was impossible for the privatization of state-owned shares. When they ceased to be state-owned, companies would lose the highest credit rating since the state had been responsible for their debts. This meant companies could expect exactly what Sechin forbade – a deterioration of the conditions they operated under. By receiving credit as state-owned companies, they paid less for it than they would as private companies. A private owner could lose everything, but the Russian Federation could not. Nor could the starting price of shares offered for purchase be "lower than the price at which the initial public offering was conducted." This was also problematic. 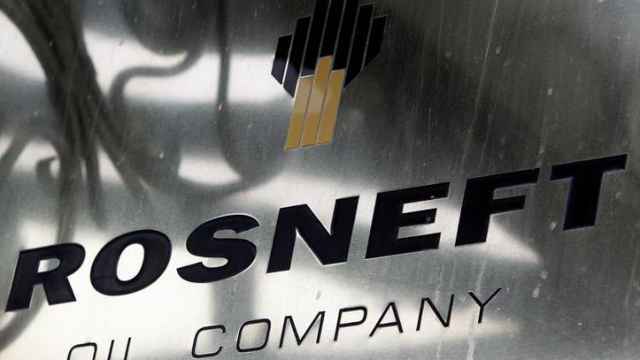 Shares of Rosneft, for example, were sold in 2006 for 203 rubles ($7.47) per share; but at the end of 2011, they were worth a little less than 200 rubles ($6.24) and, in February of 2012, 220 rubles ($6.83). Supporters of privatization decided to step up to a final battle with Sechin, probably realizing that it would be a fight with Putin too. On Dec. 1, 2011, the government prepared a compromise draft regulation: the assets were the same as those Shuvalov and his allies offered for sale in the summer of 2011, but the package sizes were reduced. The plan was for the state to complete its withdrawal from the capital of RusHydro, Sovcomflot, VTB, United Grain Company and Rosagroleasing by 2017. Shares of Zarubezhneft, Aeroflot, Alrosa, Transneft, Uralvagonzavod, United Shipbuilding Corporation and United Aircraft Corporation would be put on offer gradually. Sechin requested the new documents on privatization to study, and received them on Dec. 2. He then began to deliberately stall the proposals. Under government rules, he could take up to 30 days to study them. Following this, on the lead up to New Year, he struck a decisive blow. On Dec. 29, he wrote a new, six-page note to Putin. Firstly, Sechin wrote that the money the treasury would receive from the sale of assets was unnecessary: oil prices were rising, and so the rush to sell made no sense. Secondly, the global economic crisis had not ended, and so it would be difficult to get a good price for the assets. 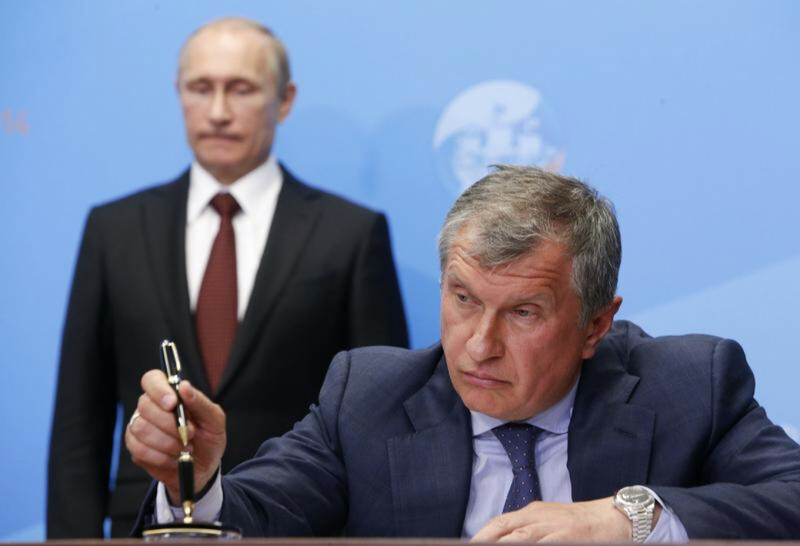 "Beginning privatization of share packages in the largest state-owned companies at the present time will not achieve adequate economic benefit from the sale," Sechin concluded, then he detailed specific reasons why it was impossible to sell shares of Rosneft, Transneft, FGC UES, Zarubezhneft and RusHydro. "Concrete and consistent action on privatization, containing both general rules and principles of privatization, as well as specific actions in relation to each company from the beginning of the privatization to the end" by Feb. 15. It was the end, and Shuvalov and all the other supporters of privatization knew it. Putin had deceived the liberals in the Government. He had promised his support and yet he had interfered by proxy, first with Shmatko and his colleagues, and then by using his chief aide Igor Sechin. Extensive privatization did not occur, and the ownership of tens of billions of dollars remained in state hands. Vladimir Putin returned to the topic of privatization in January 2013, a year before the Ukrainian crisis. Shuvalov, still enthusiastic, suggested the sale of shares in Sovcomflot, VTB, Alrosa and several smaller companies. The main goal was to send western businesses a positive signal that Russia was still open to investment. On Jan. 23, 2013, officials met with President Putin in Novo-Ogaryovo to discuss Shuvalov's proposals, as well as other issues related to privatization. After about half an hour's conversation, talk turned to Russia's readiness to carry out the sale of state shares on the Moscow stock exchange. Putin asked for a simple explanation as to why those shares should be sold in New York, in U.S. jurisdiction, rather than in Moscow. If we need them to buy stocks, we can do what is necessary for them to buy them at the price we need. Sechin, for example, will buy them if we ask him. But we do not need to take them to New York. Why should we subordinate Russian companies, and strategic ones at that, to U.S. law? It was the moment of truth. The president's attitude toward selling pieces of Russian state property to foreigners and private owners became clear: If we have to look like we're selling something, let's do it. We'll ask Igor Sechin, and he'll buy it. Even if you do not place anything on the New York Stock Exchange, that does not mean that U.S. prosecutors won't be able to bring an action against a Russian company. They can do this at any time. However, if you do not place the shares in New York, you will lose a lot of money. But the discussion failed. Putin banned the sale of Russian stock abroad. 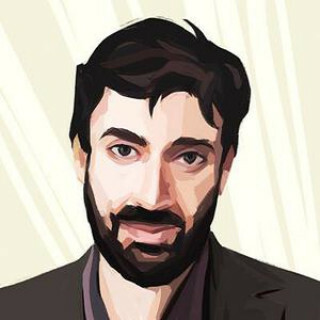 Konstantin Gaaze is an independent reporter and political observer. 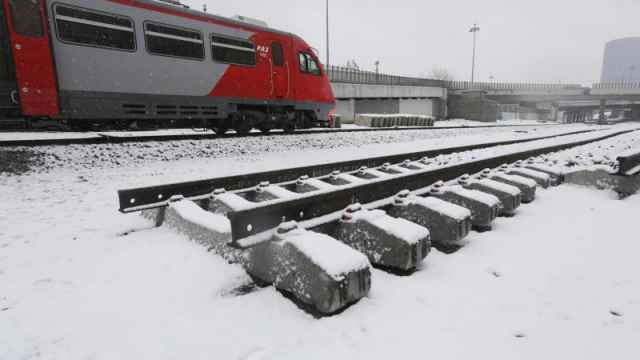 The Kremlin will not privatize Russian Railways within the next three years, a top government official has claimed.